Whether you are looking for a large piece of furniture such as a bed or table or a smaller accessory like a shelf or hook, you can find it right here. Click on each category to see more options and pictures. 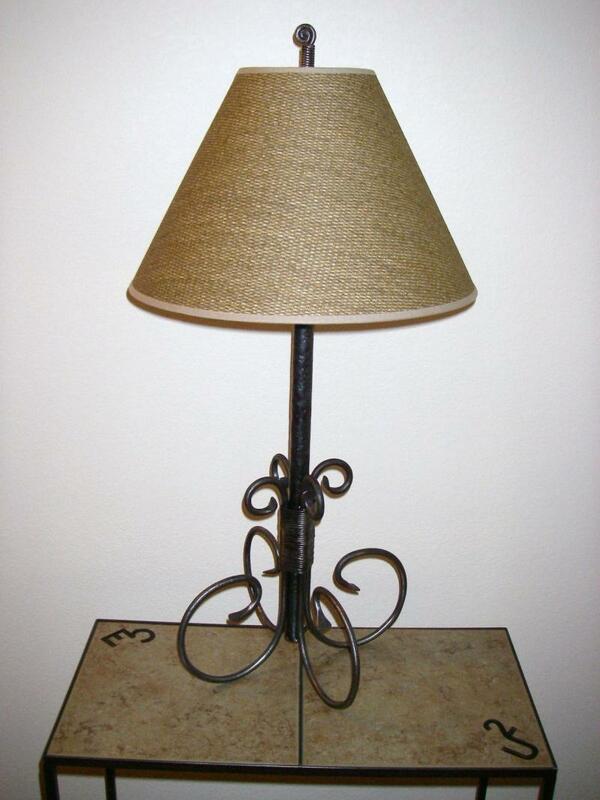 Rusted, recycled barbed wire is used to fashion decorative home accessories. Most of the wire is 50 to 75 years old. Miniature Christmas trees are one of our most popular items. 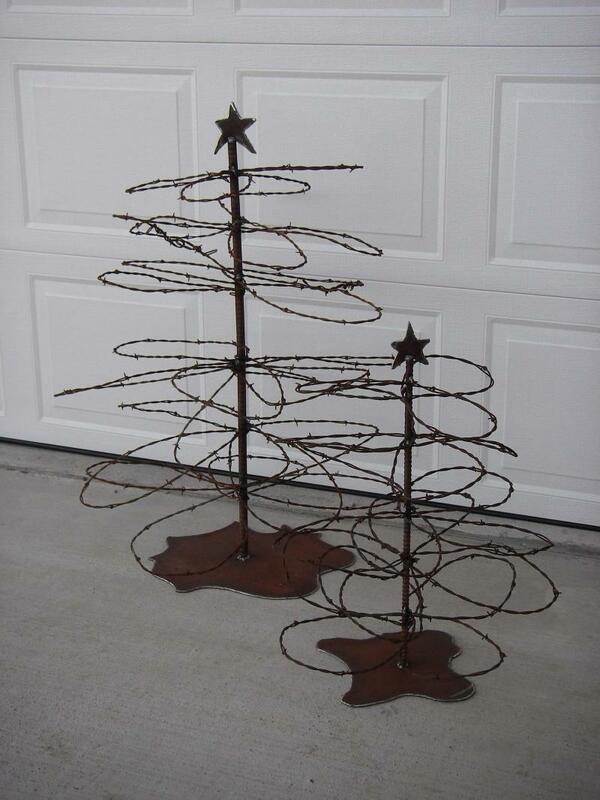 Barbed wire pieces provide a rustic touch to your interior, or they can withstand the elements of the outdoors. 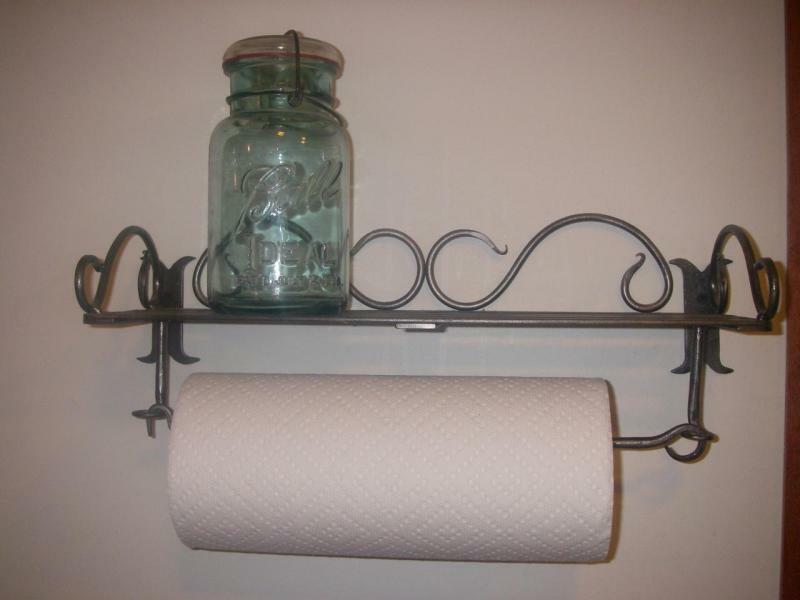 Many bathroom fixture items are in stock. Orders for custom sizes are welcome. Maybe you have an item you would like to have converted into some sort of hook - such as the antique porcelain door knob shown. More styles and variations are available than space allows us to show. Stools and chairs from small children size to tall counter size. A large selection of seat, leg and back designs available. Let's discuss your thoughts and taste and come up with a design that is exclusively yours. From railings to mirrors and everything in between. Items are available for all your living spaces: coat trees and hooks to organize your entry, fireplace sets for your living room, and lamps for your bedside table. 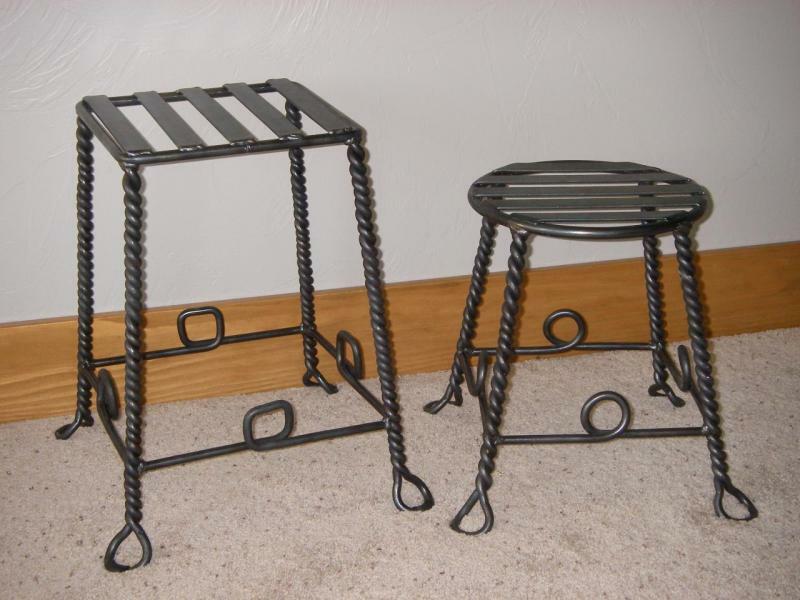 Or try a quilt rack, picture frame, or cross for any room in your home. Items are limited only by your imagination and Danny's talent! Find your favorite individual hooks or sets of hooks. Danny's signature horsehead design is available in a variety of finishes including brushed silver, browned, or forge-darkened. Or browse the selection of arrows, scrolls and other designs. 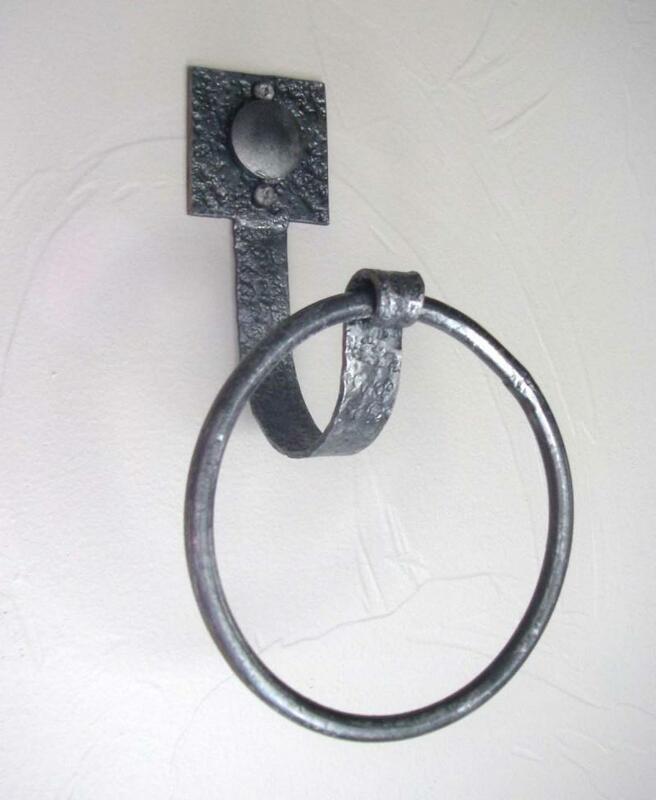 Large hooks can be used for hanging towels or coats, while smaller ones are perfect for key chains and decorative items. Large and small kitchen items are available. Paper towel holders (under-counter, countertop or wall-mounted), wine racks, and utensils such as steak turners, forks, spoons, and ladles are popular choices. Also available are hand-forged cheese knives, pickle forks and napkin rings. 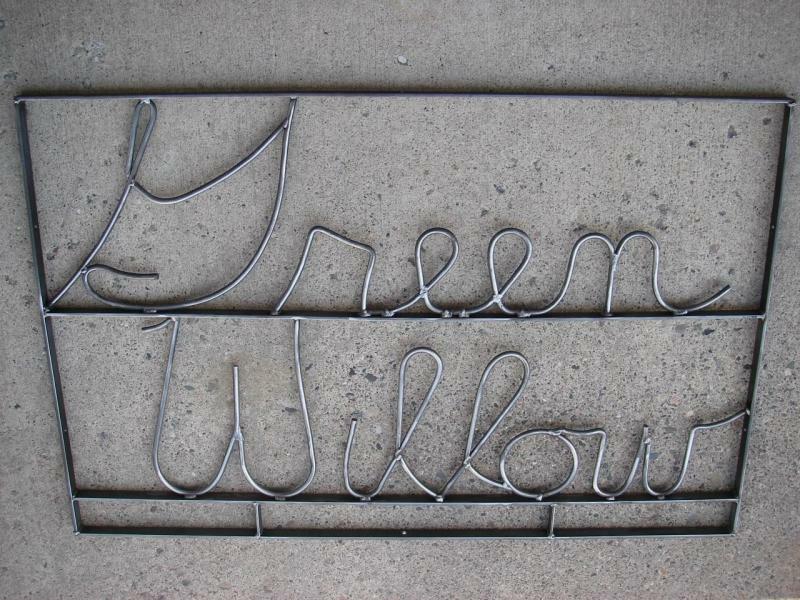 Custom-made gate signs and yard sculptures add a unique touch to your property. They are maintenance-free - let the elements add a natural patina to your product. 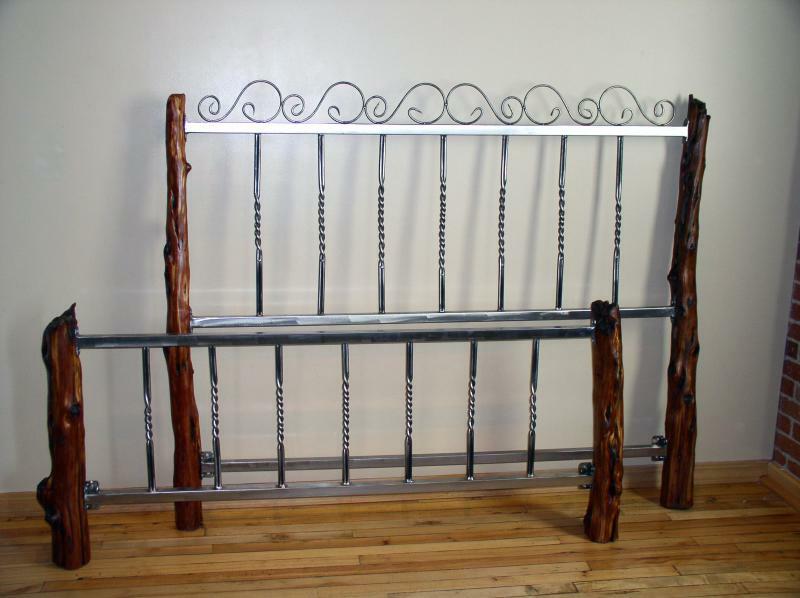 Danny has been making sculptures out of old, recycled iron materials since the early 1970's. Perhaps his most recognized metal sculpture creation sits on permanent display at the Sweet Grass County Courthouse in Big Timber, MT. This sculpture of a ewe and lamb was built to commemorate Big Timber's centennial. Tables can be made to order, either with cedar or iron bases. 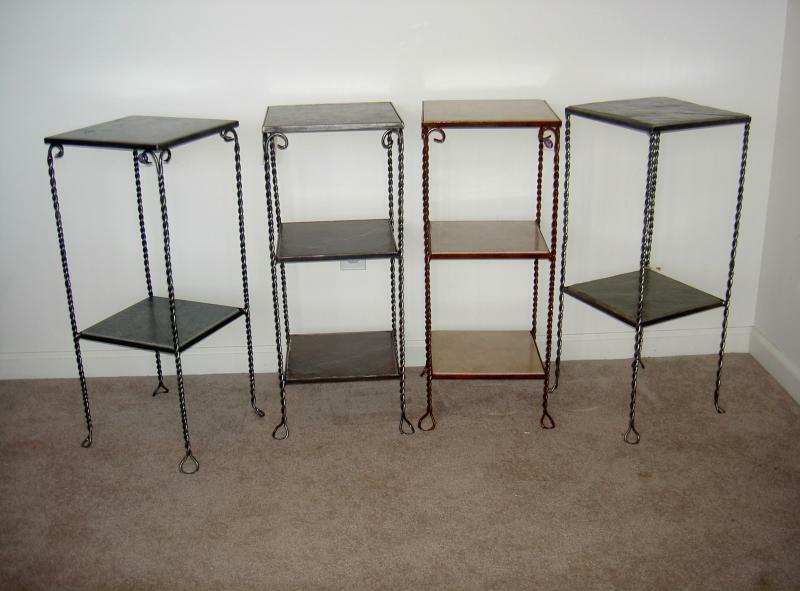 Coffee tables, end tables and accent tables can be topped with slate, tile or tempered glass. Shelves and magazine racks can be added as you like.